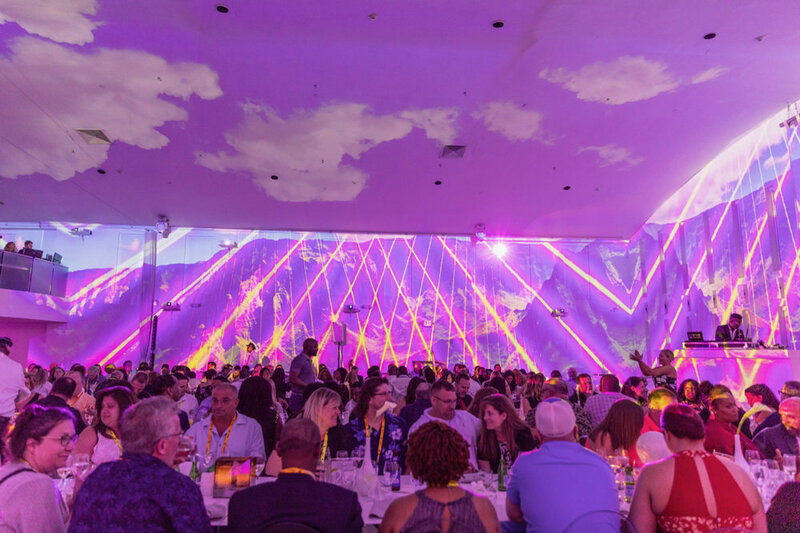 More than a dinner, this corporate event at The Temple House was an exciting, immersive experience that employees of a major telecommunications company got to share for an evening! 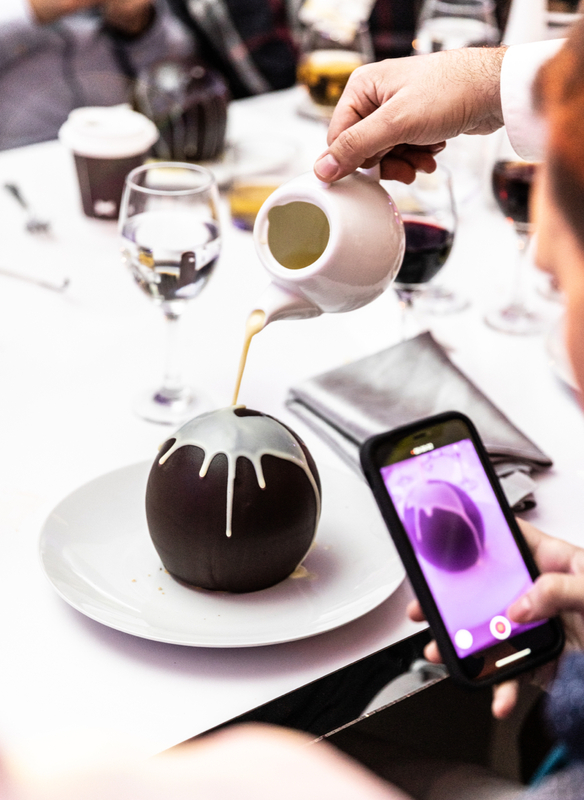 This unique dining experience featured a three-course dinner with an appetizer of Spanish Tapas and Caprese Salad followed by a traditional Italian spread for the entrée, and an Eiffel Tower Charlotte Reveal that sealed the dinner with a taste of France. For each course, waiters changed into costumes typical of the country of origin for each dish, and The Temple House immersed guests in an extraordinary visual experience thanks to 360 degree digital mapping that projected images of Spain, France or Italy to accompany corresponding menu items. 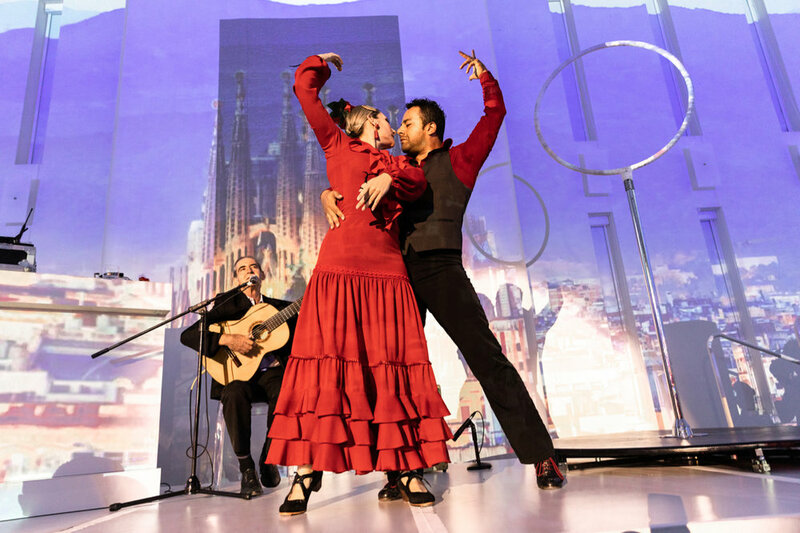 The auditory experience of the event featured traditional music from each region and live performances paired with each course. Arriving guests were greeted by servers dressed as airline pilots and offering trays of Limoncello Spiked San Pellegrino. Cocktail hour with passed hors d’oeuvres coincided with golden hour on the Temple House’s rooftop terrace, then all aboard for a culinary voyage, first stop, Spain! Corporate clients’ expectations have evolved with current event trends, and a party is no longer just a party; corporate events are an experience that is curated and either geared towards clients or customers who are offered a brand experience, or, in this case, a celebration that rewards valued employees, boosts morale, and raises enthusiasm for new company initiatives amongst key employees. 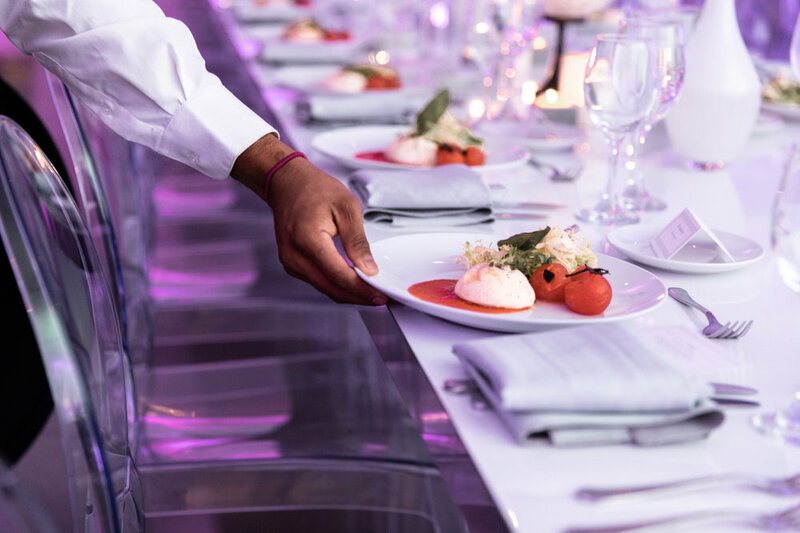 Our team of experienced event coordinators are here to help corporate clients, PR agencies and event planners customize the dining experience for upscale corporate events. 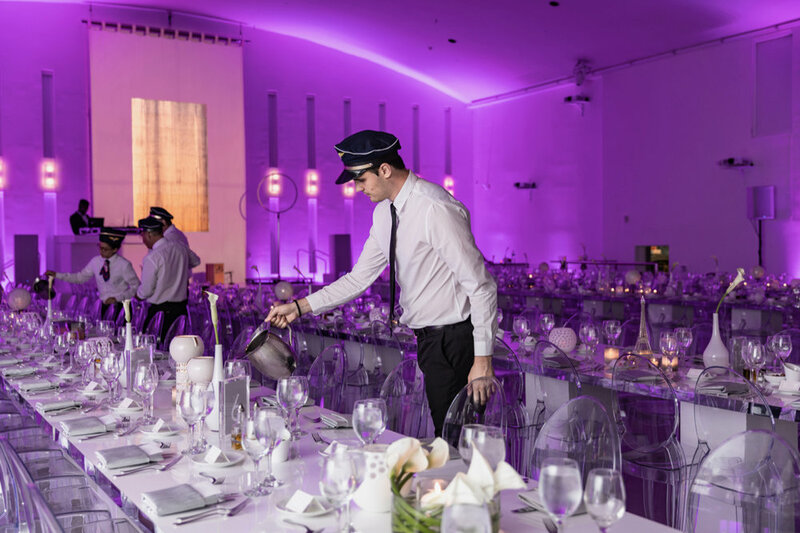 From creative experiential marketing events to chic sit-down dinners, the gourmet experience is a key part of any event and can be tailored to enhance a product, a brand or a company’s own corporate culture. Keep scrolling down for a peek into this memorable dinner at the TEMPLE HOUSE….